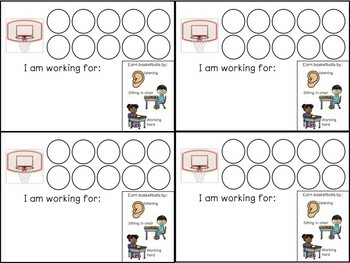 Specialized "working for" chart using basketball tokens. 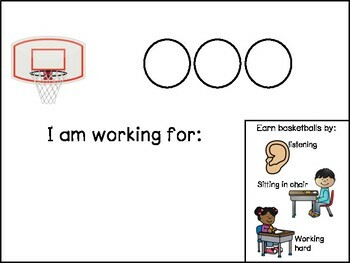 Token boards come with visual supports to remind students how to earn a basketball. Comes with full page, and task card sized options with 3, 5, and 10 basketballs. Does not include working for choices. To see how this is used in my classroom, head to my Instagram!